Corporate Council on Africa (CCA), in partnership with Africa Business Portal is launching a four-part webinar series this year. The webinars will be an interactive way to discuss the business challenges and opportunities in Africa, gain insight on key markets and exchange ideas with business leaders and stakeholders across the continent and in the United States. The first webinar, Africa Outlook 2017, will focus on a changing African market and shifting U.S. policy towards the continent under a new administration. The next webinar is scheduled for May on agribusiness; in July, we will discuss tourism in Africa; and the final webinar in December will focus on lessons learned from 2017 and what businesses should expect going into 2018. Ms. Liser is the third President and CEO of CCA. Florie brings her expertise and extensive network on trade and Africa to her new role, along with a strong track record of working with the private sector to translate policy into action. She will also be the first woman to lead the Council since its founding in 1993. 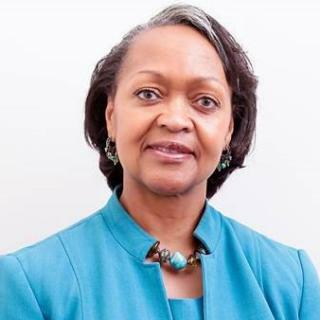 Ms. Liser joined CCA from the Office of the U.S. Trade Representative (USTR), where she has been Assistant U.S. Trade Representative for Africa since 2003. In that role, she has led trade and investment policy towards 49 sub-Saharan African nations and oversaw implementation of the African Growth and Opportunity Act (AGOA). Prior to this role, Florie served as Assistant U.S. Trade Representative for Industry, Market Access, and Telecommunications from 2000-2003. She has also served as Senior Trade Policy Advisor in the Office of International Transportation and Trade at the Department of Transportation from 1987-2000; worked as a Director in USTR’s Office of GATT Affairs, and also served as an Associate Fellow at the Overseas Development Council (ODC) from 1975-1980. Amb. Herman Cohen (Ret.) is the President of Cohen and Woods International, a consultancy which serves private businesses, agencies, and governments seeking strategic advice and counsel on their political, security and economic relations in Africa . Amb. Cohen served as Assistant Secretary of State for African Affairs during the first Bush Administration, and worked with the NSC in the Reagan White House. As an ambassador, advisor to Presidents, and a 38-year veteran of the Foreign Service, Ambassador Herman J. Cohen has devoted his entire professional career to African and European affairs.